Based in Lewisham and need pallet racking? We've got you covered! We are one of the South East's leading new pallet racking and industrial storage specialists! Working for clients across Lewisham, Kent and South East London, we supply and install the highest quality and most reliable new pallet racking for very affordable and competitive prices. Whatever pallet racking or industrial storage solutions you need, we'll have it. We have a huge variety of options available; all manufactured by the biggest names in our industry, including Hi-Lo, Dexion, Apex, Stow, Link 51 and Planned Storage. Do you need a couple of extra bays to increase the storage potential of your Lewisham business premises? Require enough to fill an entire factory? No matter how big or small your premises, we will supply and install the right new pallet racking to suit your requirements. If you're based in Lewisham, or anywhere in the surrounding area, speak to the South East's racking experts at Acorn Storage today. 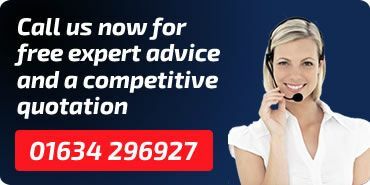 Call our friendly team now on 01634 296927. If you're not sure what make your pallet racking is, no problem. Just read our simple Identify Your Racking article to find out! Our pallet racking is one of the most cost effective, reliable and versatile storage systems on the market today. Ideal for any warehouse, factory or commercial storage facility and featuring a wide range of set-ups and configurations, our pallet racking is designed to suit even the most unique and challenging of requirements. No matter what your needs, our new pallet racking options will make your industrial storage easy, quick and simple. We offer honest and impartial advice and guidance on what pallet racking system would best suit your needs, based on over 25 years of experience in the industry. Offering a full design, supply and installation service, we also provide potential specifications and layouts for larger Lewisham projects. Alongside pallet racking, we also specialise in the supply and installation of reliable and effective mezzanine flooring. So should you need to create additional storage space in your Lewisham commercial or industrial property, why not consider mezzanine flooring? For advice and guidance on a new pallet racking or mezzanine flooring solution that will work for you at prices you can afford, speak to the experienced experts here at Acorn Storage. Contact us today for a free property survey and no obligation quotation at your convenience.